I LOVE Fall. Since today, Sept 22, is the first official day of it (actually in an hour or so from now), here are the results of my recent poll. 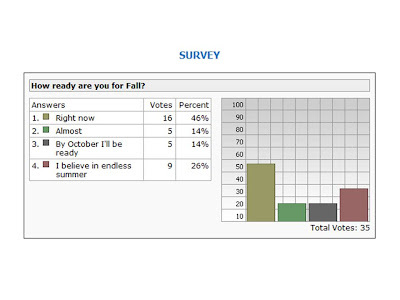 Almost half of those polled said they were ready. Now vote on my new survey.